The purpose of your roof goes beyond protecting your family from the elements. As it represents a big part of your exterior, it plays a key role in maintaining your home’s curb appeal. It also contributes greatly to the overall insulation and energy efficiency of your home. When signs of damage begin to compromise your roofing in Schererville, IN, take immediate action to preserve your home’s value and structural integrity. Although repairs can provide a quick fix to the problems, they don’t necessarily provide a comprehensive solution. Roof replacement is your best bet for this. To ensure you get the best roofing solution for your home, Rogers Roofing provides four important roof replacement tips. 1. Examine your roof – Before getting started with your project, perform a visual inspection of your roof. By knowing where the problems lie, you can get a better understanding of what you should do to avoid them in the future. Look for cracked or missing shingles, as well as loose materials around the gutters and vents. You may also look for water stains in your attic, as these may indicate a leaking problem. 2. Determine the right roofing material – You have many options when it comes to the material. For a roofing system that can withstand extreme weather conditions, choose concrete tiles. Asphalt shingles, on the other hand, can offer superior beauty that lasts. To pick the right option for your home, seek the help of expert roofing companies in Northwest Indiana, like Rogers Roofing. 3. Work with a professional contractor – Hiring an expert for your roofing is better than choosing to do the job on your own. As the leading roofer in Chicago, and the local area, we can help you save time and money on your project. We’ll inspect your roof thoroughly, recommend the right material, and install your new roof in the most efficient manner. 4. 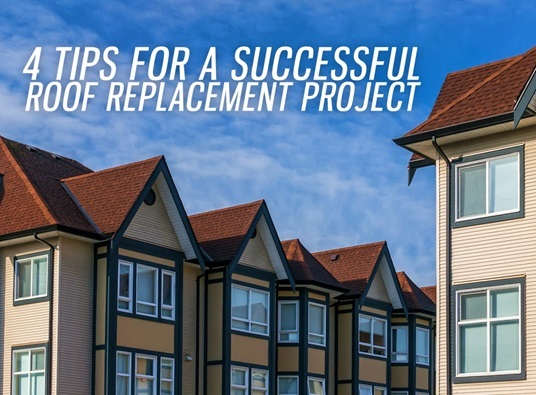 Plan for the right replacement schedule – It’s essential to schedule your project during a time when the weather is nice in your area. A nice weather helps speed up the replacement process. You may also get big discounts from Rogers Roofing during specific seasons, so it’s best to plan ahead. With Rogers Roofing, you’ll receive all the help you need though the entire replacement process—from the free consultation and even beyond the installation. We will work with you every step of the way to ensure a professional and successful job. For more information about our services, call us or fill out our form today.